A little bit of humour goes a long way between friends but what if a brand roasts a customer within an inch of their life on social media? Well, that is exactly what these hilarious brand tweets did and people loved them for it! Imagine sitting behind a desk, using social media all day as a part of your job, and using it responsibly because you represent a brand, and then one day, an opportunity presents itself to let that creative and sarcastic inner Kraken out? That’s how I suppose these hilarious brand tweets and replies were born one day as the copywriter decided to have some fun with his job. While no one really seeks assistance or registers grievances with the PornHub Twitter account, their copywriter has achieved famous notoriety for being savage, and also the copywriter at Wendy’s who I pesonally would never ask for an extra ketchup packet if she was serving my order. 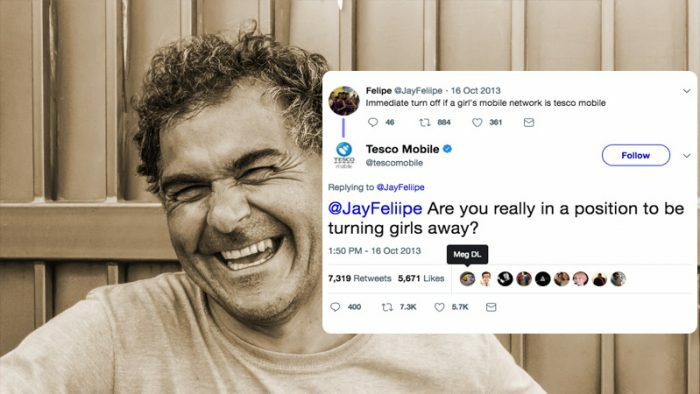 Aside from Wendy’s and PornHub, there are numerous other hilarious brand tweets full of comebacks, sarcasm and simply utter savagery that earned them some serious street cred among their followers. 1 Tesco Mobile gave Mr. Joe another reason to call his mother! 2 Wendy’s delivering a burn so ruthless, the man might still be living in a refrigerator to treat it. 3 Taco Bell and Old Spice roast each other on Twitter with some actually legit questions. What Old Spices have I been buying all these years? 4 Chipotle being the smooth criminal out here with one of the most creative pickup lines I have heard in a long, long time. 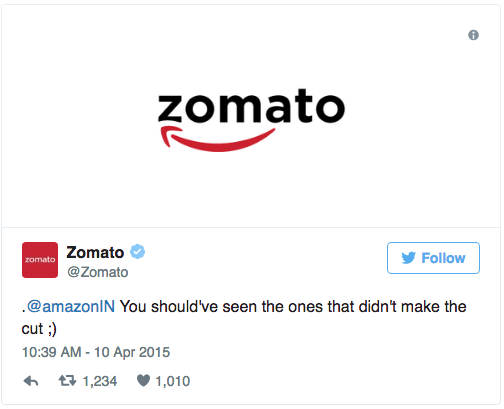 5 Zomato and Amazon indulging in some playful banter on Twitter was delightful to watch. Brands trying to roast each other is even better! 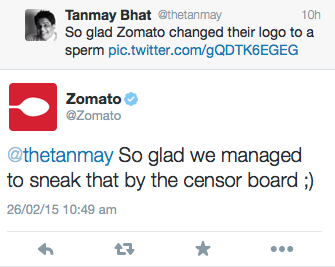 6 Zomato enjoyed another one of those witty comebacks for Tanmay Bhatt. 7 Netflix India giving the phrase Netflix and Chill an entirely new meaning. Is Dhoni Netflix India’s copywriter? bhai thand rakh, head over to https://t.co/WOfdX7kNvy to resolve any issues! 8 Tesco Mobile really makes people call, for help. 9 Arbys know their audience. 10 Dennys with one of the Dadliest Dad jokes to have ever been uttered. It takes a super human amount of dedication and passion to come up with such creativity for the brands you handle. 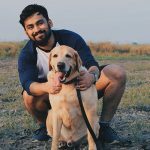 Celebrating this vigor, Social Samosa Top 30 Under 30 enters the next phase. Stay close to the edge of your seat as the esteemed jury panel scans and scrutinizes every entry.